Author Stacy Mitch's background in college campus evangelization comes through loud and clear in this biblically rich and eminently practical study. 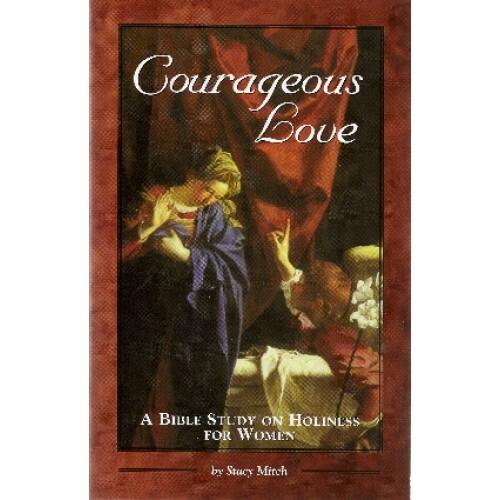 Courageous Love takes seriously the fact that everyone is called to holiness, and offers sound, spiritual guidance to women of all ages and backgrounds. Stacy Mitch holds a bachelor's degree in secondary education and has worked as a high school religion teacher. She is a contributing author of the second edition of the Faith and Life elementary catechism series. She resides in Steubenville, Ohio, with her husband Curtis and their five children. About the Series: Intended for individual or group study, our Courageous series examines the teaching of Sacred Scripture on women and the feminine pursuit of holiness for women of all ages and walks of life. Each book includes a leader's guide and study.